He came. He shouldn’t have, but he still came. Looking around, he knew immediately that it had been a mistake. This wasn’t his sort of place, and these weren’t his sort of people. But there he was, and there was nothing to do about it now. He might as well make the most of it. Now and then, you just need to forget what you’ve learned, get back to basics, and have some unpretentious, unadulturated, unarticulated fun. 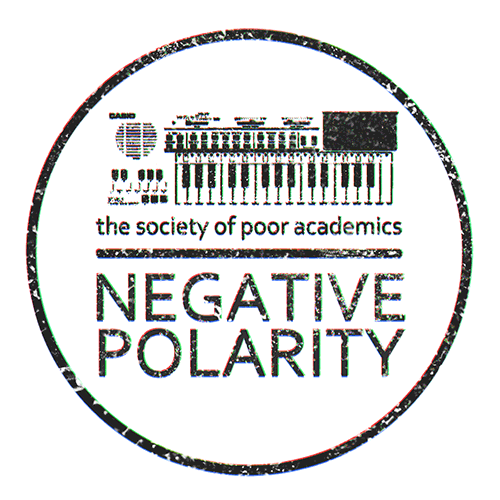 A brand new, free of charge EP from the as of yet fairly uncontroversial one-man non-band the Society of Poor Academics, containing both old and future classics. All songs and tunes were performed on a Casio PT-80, recorded on a Cowon iAUDIO U2 digital audio player. All songs written by Eivind Kirkeby, except for “California Song” which was originally written by John Darnielle of the Mountain Goats. Album cover art by Pål Gauslaa Sivertzen. If your hunger is not sated, you can consult bandcamp. 06. Skal Det Være Mere Te Til Kaffen?